Nusrat obtained a Bachelor’s of Science degree in Psychology from University College London and went on to study law at the College of Law. She trained in Community Care, Housing and Immigration at Fisher Meredith Solicitors. Prior to that she worked as a paralegal at Bhatt Murphy Solicitors and Hickman & Rose Solicitors, where she dealt with police law and unlawful detention cases. Nusrat also worked as a Mental Health Advocate, representing clients at tribunal hearings. 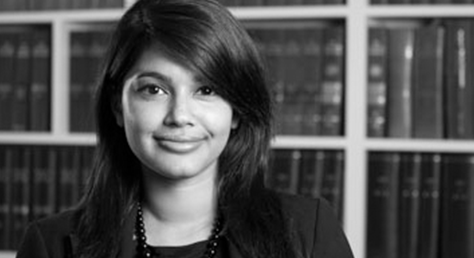 Nusrat specialises in public law and human rights, she also advises on migrant welfare and community care services provided by local authorities. She has an interest in assisting vulnerable clients, including unaccompanied minors, trafficked individuals and those with mental health problems. She brings compensation claims against the state for failing its duties, as well as claims against traffickers who have exploited her clients. Nusrat has a particular focus on improving state support for victims of trafficking and modern slavery. At present she is instructed in one of the lead cases challenging the recent cuts by the Home Office to subsistence monies paid to support victims. Last year she successfully obtained safeguarding support and accommodation for a recognised victim who had been left homeless and was being further exploited. Nusrat has also been awarded a research grant by the Winston Churchill Memorial Trust to compare our models of support for victims of trafficking to the US and Europe. She is due to present her research findings at the end of this year in order to make recommendations to improve the UK’s systems. Nusrat has gained international experience having worked in the Human Rights and Legal Aid department of BRAC in Bangladesh, (formerly Bangladesh Rural Advancement Committee) one of the world’s largest NGOs. She also volunteered at Al-Haq, a Human Rights NGO based in Palestine, building potential cases against corporations operating in the West Bank. Nusrat is currently a trustee of Lawyers for Palestinian Human Rights. Interests: Travel, food, and upcycling.